Last October, after weeks of bitter combat, some 1,400 "Islamic State" (IS) fighters turned themselves in, expediting Hawija's liberation. In a series of operations, the Iraqi army swept through the region to clear any remaining pockets of IS fighters. However, in its effort to speed up the process, it hasn't been as efficient as was hoped. 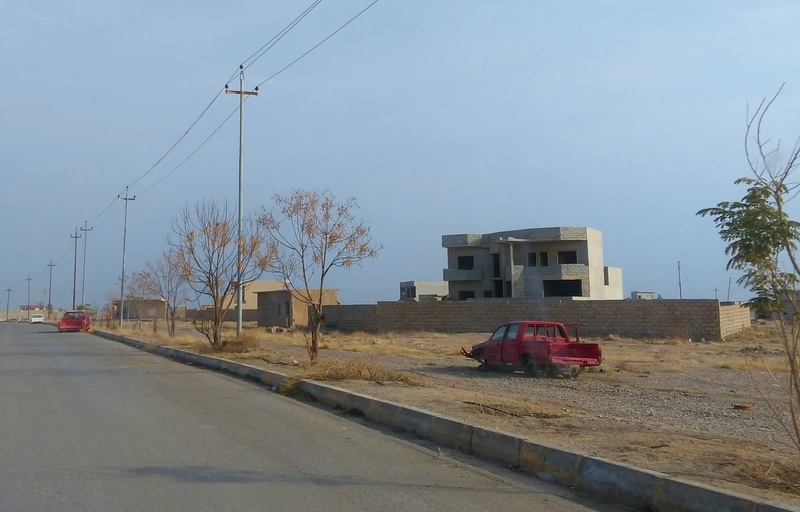 The eastern part of Hawija remains unsafe and has attracted sleeper cells who are still active there, emerging at night to take food from civilians. In response, the Iraqi army recently staged a nine-day operation in an effort to smoke them out. "We found tunnels, a bomb factory and an IS-run clinic," says Mukaddam Ali, an Iraqi colonel stationed at a base outside nearby Kirkuk. "There was even a functional operation center," he told DW. A ghost town to which no one is as yet allowed to return, much of Hawija has been seriously damaged as a result of air attacks and an explosion at an IS bomb factory. On the roads, the wrecks of cars every couple of hundred meters, which IS fighters used to slow the progress of the military last October, serve as reminders of the battle. Holes in the roads mark the booby-traps the army discovered in time, while in some more remote villages buckets and water containers are used to mark spots where they have not yet been cleared.